Fumito Ueda thinks it's possible to design zombie games that "express a character in a lyrical way". 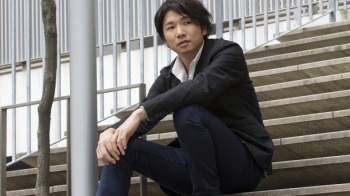 He may have worked exclusively with Sony consoles for years, but Fumito Ueda isn't known for his Triple-A sensibilities. As the director of Ico and Shadow of the Colossus, Ueda is recognized for minimalist games that elicit strong emotional responses, even when you're fighting monsters the size of a skyscraper. Now that Ueda is no longer working for Sony, his work on The Last Guardian notwithstanding, it's natural to wonder what he plans to do next. As it turns out, he'd like to take on a genre that is overwhelmingly familiar to every gamer: Fumito Ueda wants to tell a story about zombies. "This may be surprising, but one day I'd like to make a game on the theme of zombies," Ueda recently told Edge. "I'd like to try making a low-threshold game for hardware that is based around a touchpad. That's if I can come up with a well-suited idea, of course." To be clear, Ueda isn't talking about making the next Dead Rising or Black Ops II Zombies. As with Ico and SotC, he's still interested in using monsters to tell meaningful stories of all-too-human characters. "With a zombie motif, in terms of AI and motion technology and the operability of the player character, there are many elements that interest me and that are suited to in-game expression," Ueda continues. "Especially if there is a way to use [zombies] not just as a convenient enemy for the player to shoot at, but in a way that allows me to express a character in a lyrical way. There are always possibilities." A tender, Ico-like story of the zombie apocalypse seems like an odd juxtaposition at first glance, but you could have said the same thing about monster hunting games before Shadow of the Colossus. Just as Telltale's The Walking Dead broke new ground in the genre, Ueda might be able to offer a fresh perspective, at least once The Last Guardian gets straightened out.